Mont Blanc's Starwalker is a woody, spicy blend for men that has a fresh top note of bergamot, tangerine and bamboo that leads to the spicy heart with elemi, ginger and nutmeg. The elegant glass and silver package is very Mont Blanc. 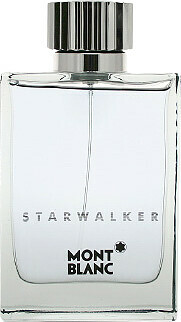 Montblanc Starwalker Eau de Toilette Spray 50ml is rated 5.0 out of 5 by 1. Rated 5 out of 5 by BadgerBadleg from Sure smells good You get masculine fruity tones. It's there but it's not assaulting your nostrils. It's inexpensive but classy. 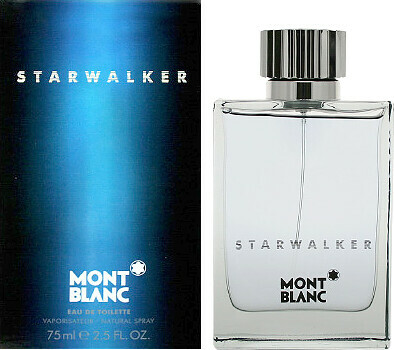 You can wear it on its own or after a shower with Starwalker shower gel. Sure smells good.